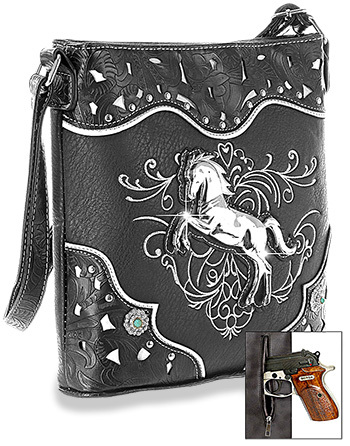 A Western styled crossbody sling with a silver-toned, rearing stallion medallion. 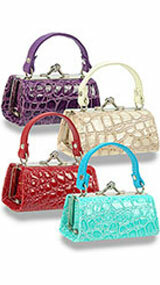 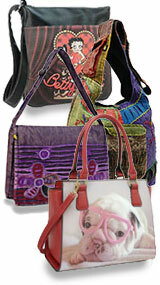 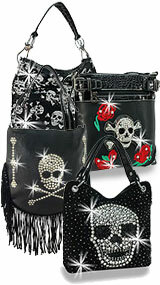 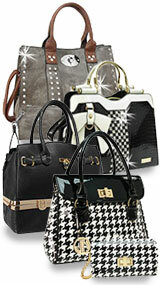 There is detailed, layered, tooled trim, with conchos, studs and an embroidered pattern. 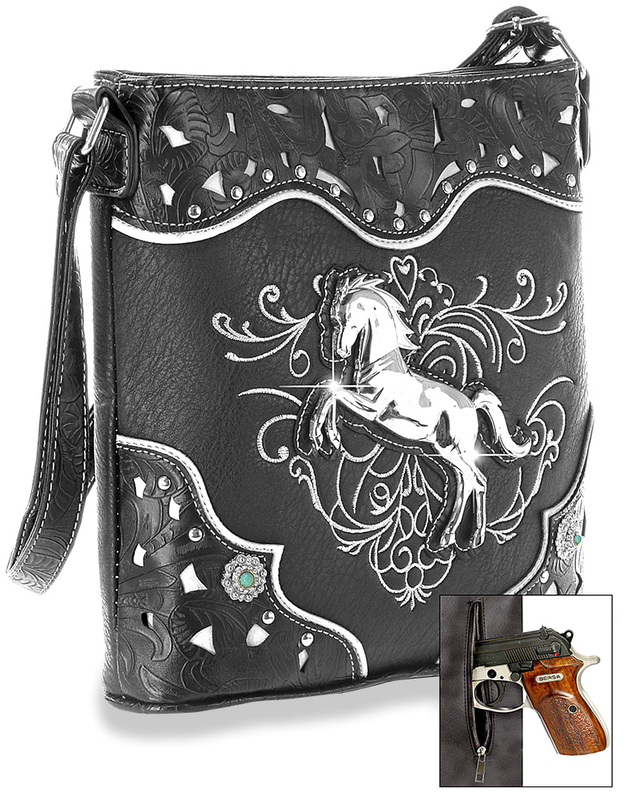 Also, a special zippered pocket on the back to keep a concealable handgun secure and undetectable.